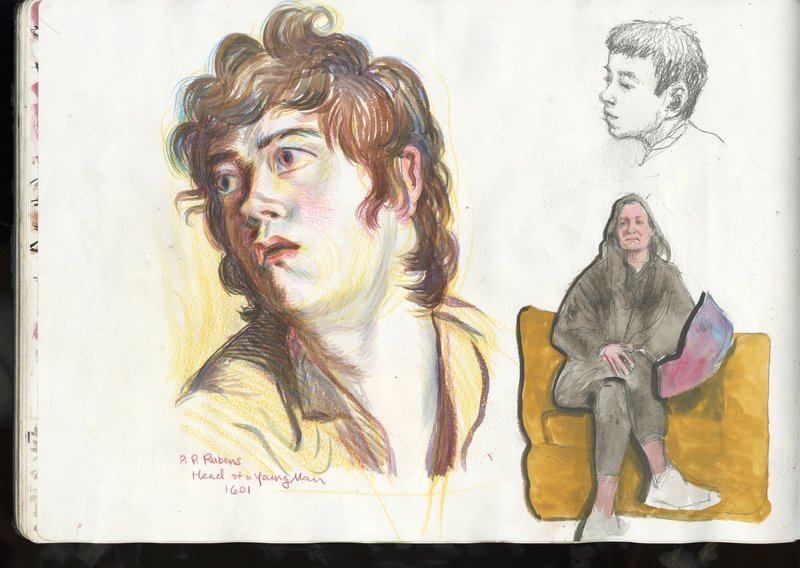 A sketchbook page with a colored pencil study after Ruben’s Head of a Young Man (1601), a watercolor of Tess and a pencil of Sam B. These are the last pages of a huge Moleskine watercolor sketchbook that I could never love, the paper being of indifferent surface texture and an awkward, utilitarian A3/11×17. On top of this it was enormously expensive, this fact giving a tinge of waste to any experiment. All three sketches are inadequate–the Rubens especially–but none wholly devoid of charm.